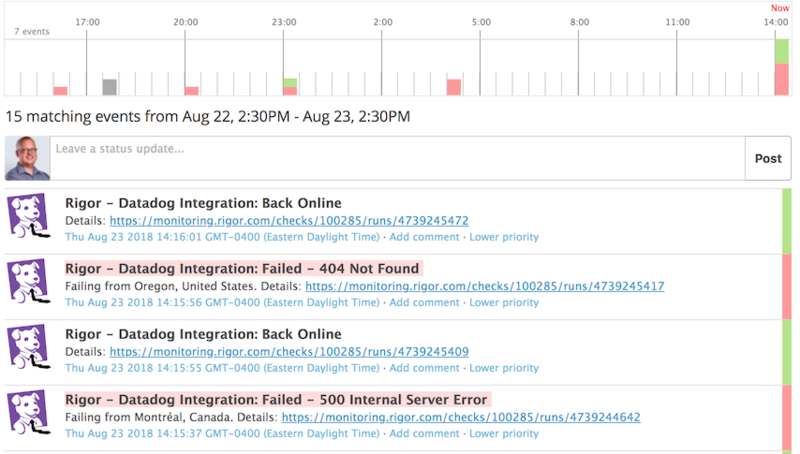 Rigor provides synthetic monitoring and optimization insights throughout your development lifecycle. With Rigor, you can collect synthetic, front-end performance metrics and push those metrics into Datadog. You can also push alerts into Datadog as events. 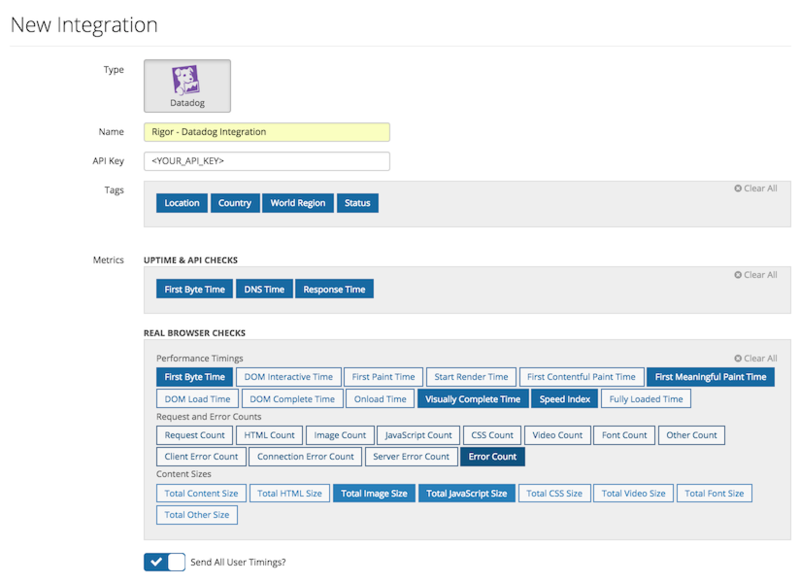 Rigor has two different integrations with Datadog, a metrics integration and an events integration. 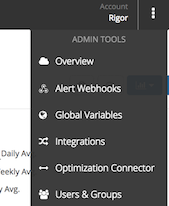 As an administrator, click the “Admin Tools” menu in the upper right hand of your screen and select “Integrations”. Add a new integration, by clicking the “New” button. You will now be able to configure the integration. If you would like Real Browser Checks to report timings from the User Timings API, make sure “Send All User Timings?” is selected. Any marks are reported under the rigor.real_browser.marks namespace and measures are reported under the rigor.real_browser.measures namespace. Be aware that selecting this option could send a lot of new series into Datadog, especially if the marks and measures on the site you are testing are dynamically generated. 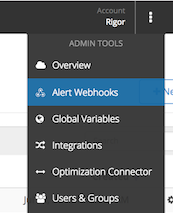 As an administrator, click the “Admin Tools” menu in the upper right hand of your screen and select “Alert Webhooks”. Add a new integration, by clicking the “New” button and clicking the Datadog tile. 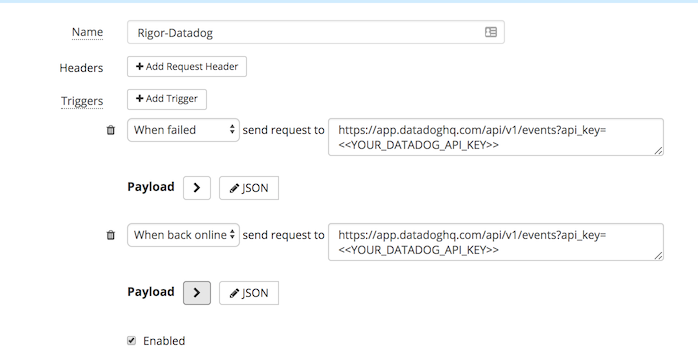 Add a unique name for this webhook and make sure to update the triggers with your Datadog API key. Once you have configured the integration. You can add to any Real Browser, HTTP, Port, or API check. Just edit the check and go to the “Notifications” tab. 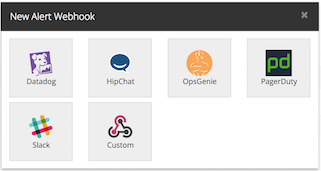 Here you can add the webhook that you just created. This integration does not include any service checks. Need help? Contact Rigor Support. Learn more about Rigor and how we can help make your website faster, visit rigor.